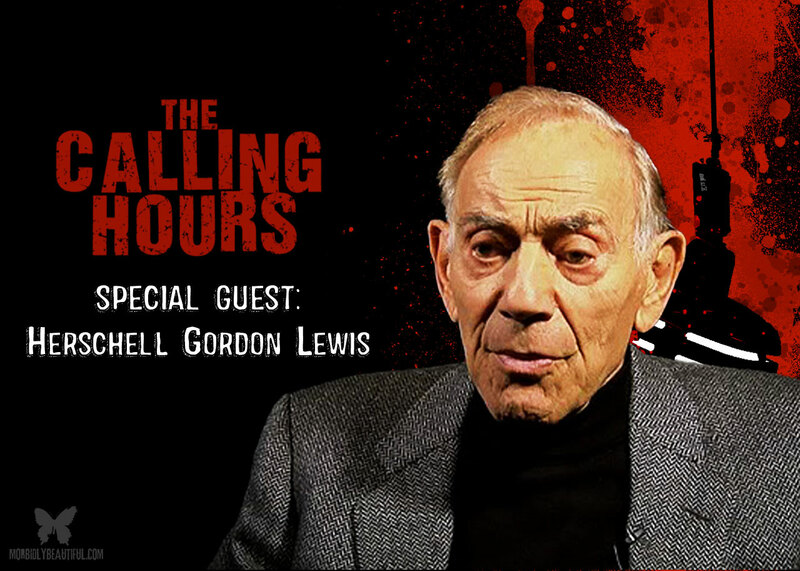 Tonight’s episode is a rebroadcast of a very special interview we did with the “Godfather of Gore” Herschell Gordon Lewis, one of his very last. We also talk with Vice President of Development/Production of Diabolique Films, James Saito. In addition to talking about the their project Bloodmania (2015), we will asked the “Godfather of Gore” about his legendary career as a Director, Producer and Actor as well as some of his other films, including Blood Feast (1963), Two Thousand Maniacs! (1964), A Taste of Blood (1967), The Wizard of Gore (1970), The Gore Gore Girls (1972), Blood Feast 2: All You Can Eat (2002) and more! In addition, we will asked James about his Acting, Producing and Writing, as well as getting his view on working with such a legendary icon. This episode originally aired on February 3, 2015. It’s one of our very favorites, and we hope you enjoy this special re-airing. We also review Scream Factory’s Blu-Ray release of Lord of Illusions, as well as The Raven from the Vincent Price Collection II. Finally, we feature several bands in our Metal Blade Spotlights.